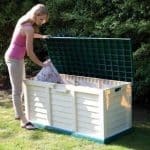 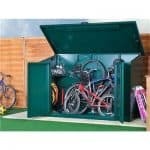 This is your ideal compact garden storage unit which fits most spaces including smaller areas. 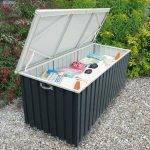 It works just as well as a secondary storage box and is handsome enough to suit every garden such is the stylish design. 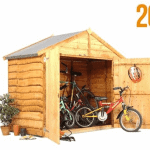 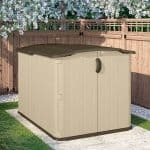 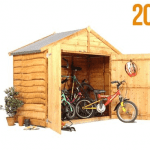 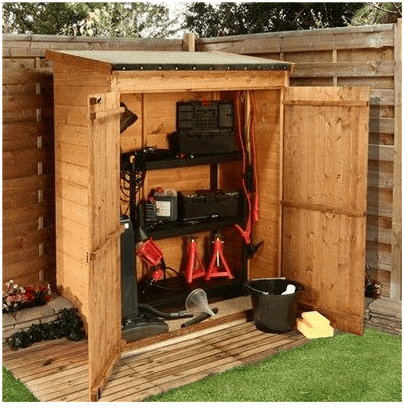 With a pent roof and manufactured from hard wearing and long lasting wood it will keep all your light gardening equipment clean and dry and tidily stored away.